Our need for temporary staff members, consultants, and contractors varies greatly by season. During the summer we often need part-time assistants for water quality monitoring, surveying, other field work, and general office work. Check back here often for new job postings and volunteer opportunities. Currently PUR has a Interim Executive Director Position open. Please see job announcement for more information. 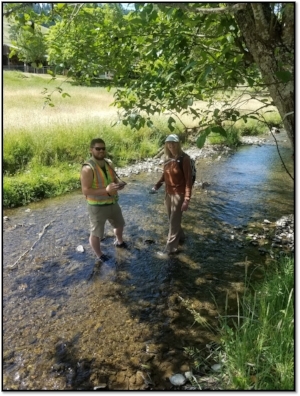 Currently PUR has a seasonal Watershed Technician Position open. Please see job announcement for more information. We always have opportunities for volunteers. Many members of the community have had fulfilling experiences helping our volunteer water quality program or working with the education and outreach staff. If you are interested in volunteering with the Partnership please contact us.